Business Directory signs are simple. They have a single purpose: they let visitors know that they are in the right place. Ideally, they also direct visitors toward the specific business they’re looking for on the property. There are 27 businesses listed on the Topa Financial Plaza Tower Lobby sign in Oxnard, CA. This is a bit different than standard business directory signs because, while each business gets the same amount of space, we took great care to ensure that each unique business stands out with their own logos, fonts, and branding. What’s particularly cool about this business directory sign (Dynamic Spectrum Business Park Way-finding sign in Los Angeles, CA) is its size. It’s on the side of a building, in a parking lot, and gives specific and easy-to-follow directions to visitors who are still in their car and would like to park next to the business they came to visit. The size, placement of lettering, and the consistency of the arrows make this sign easy-to-follow and immediately understood. The Down Front Business Park in Ventura, CA sign, is a more standard, elegant business directory sign. Each the businesses are listed in the same script, so no business has more prominence than the others on this sign. This denotes equal importance and clearly indicates to visitors which building to visit to find the particular business they’re looking for. If you’re looking for a sign shop to create an elegant, attractive business directory sign for your business, Dave’s Signs is perfect for the job. 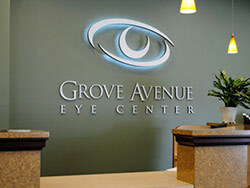 Contact us today and discuss your needs and let us draw you up an estimate for exactly the sign you’re looking for.